Do you know where your visitors are coming from? Analytics are a big part of building successful websites. It's all about tracking who's on your flyer, what they're doing there and is the flyer effective. Smore Analytics let you do just that with a beautiful infographic. 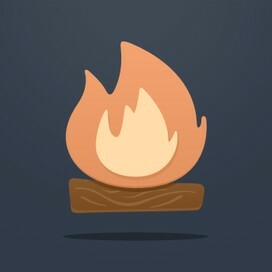 Check out Smore's cool analytics! Analytics automatically work once your flyer gets 30 views. To get enough views, you need to share your flyer on Facebook, Twitter, Craigslist or by email. Once you get your views, click on the "Show Analytics" button next to your flyer. No more guessing around. 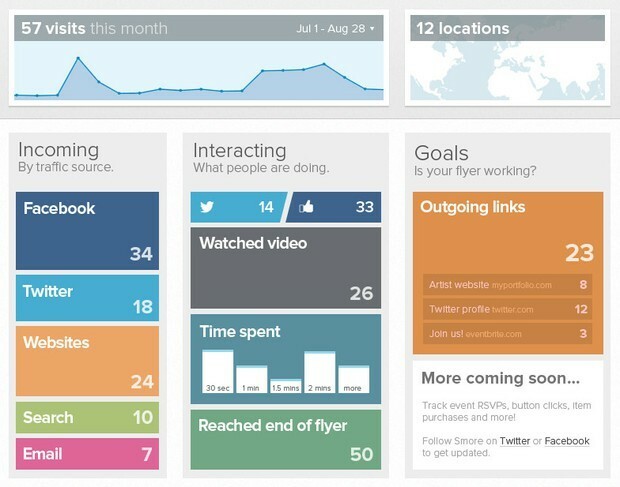 When you look at your flyer's analytics, you can see at a glance where your visitors are coming from. It's all up there on the left column - titled "Incoming". Sometimes it's important to see what countries and cities our visitors are coming from. To do that, you can use the map view. Just click on the map on the top right to see a world map with a pin for each city people came from. Got it? Great! Check out the Analytics for your flyers!